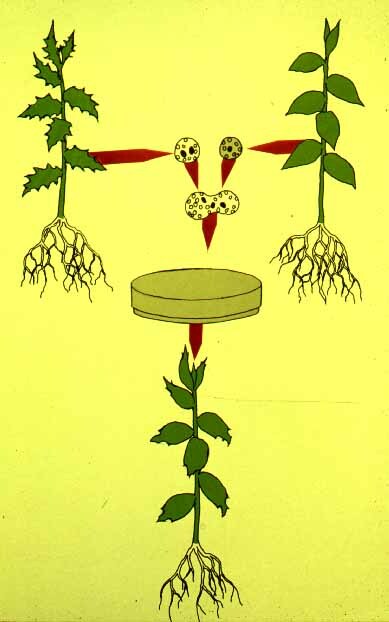 Somatic hybridization involves fusion of two vegetative protoplasts. The chemicals which are used to promote the fusion of protoplasts are called fusogenic agents. Polyethylene glycol (PEG) is the most commonly used fusogen. Polyethylene glycol(PEG) treatment has become the method of choice because of its high rate of success involving the fusion of protoplasts from different plant species. The isolated protoplasts in culture medium-1 ml is mixed with equal volume of PEG solution (28-56%) in a tube. The tube is shaken and allowed to settle. The settled protoplasts undergo several washings with the culture medium. PEG causes rapid agglutination and clumping of protoplasts. As a result, tight adhesions of membranes are formed followed by their fusion. It is non-specific and can be used for a wide range of plants. Discuss the role of fishery in enhancement of food production. Role of animal husbandry in human welfare.